Good morning, dear tea friends! April showers are gathering in big puddles outside, and it’s blooming spring in my kitchen. Do you recognize the leaf? 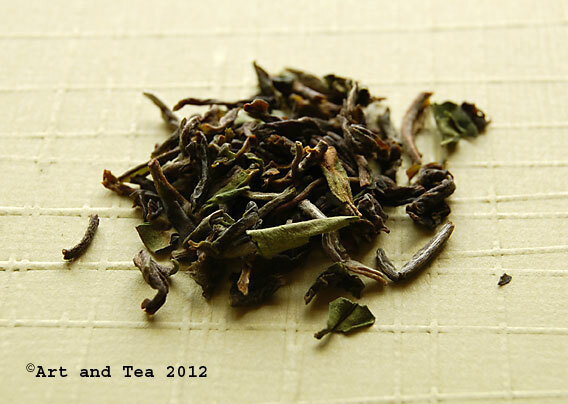 That’s right, a brand new first flush Darjeeling, one of my favorite spring treats. This lovely selection is from the Tindharia Estate. The Tindharia tea garden is a bio-organic estate, located in the South Kurseong area of Darjeeling district. I’ve read that the town of Kurseong, whose name means “Land of the White Orchids”, is a quiet hill station. A hill station is “a town in the low mountains of the Indian subcontinent, popular as a holiday resort during the hot season.” At elevations of 400-1000 meters, it sounds like a great destination for cooling off during the hot summer months. I steeped the leaves for 3 minutes in boiling point (212F) water. For those of you new to tea’s delights, it’s always best to pour the water over the leaves rather than adding the leaves to the water. As you pour, it wakes up the leaves and starts the steeping process. The aroma coming from the wet leaves is fresh and floral with a hint of vegetal. When I was just starting my tea journey many years ago, I saw a man plunge his nose right into the wet leaves and inhale deeply. 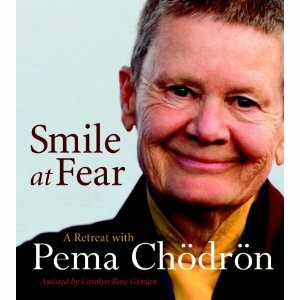 At the time, I didn’t quite know what to think but now I understand completely. 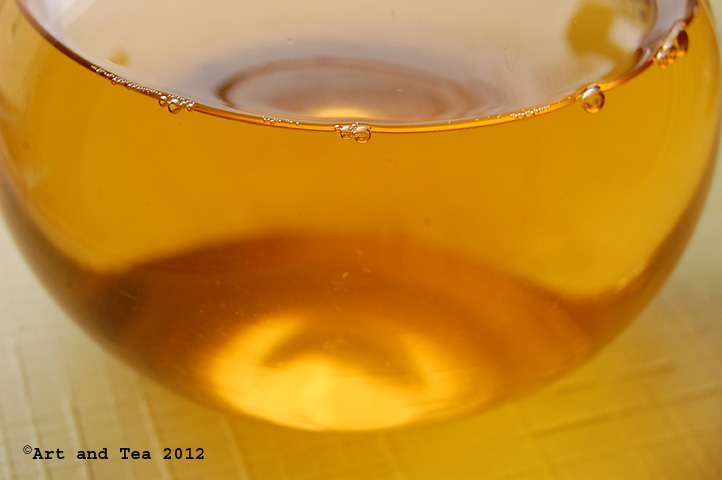 The golden-amber tea liquor has a sweet fragrance with notes of flowers and a light toasty hint. The cup is extremely well balanced with a smoothness that falls on the middle of my tongue and a refreshing pungency that wakes up the sides. Notes of flowers join a suggestion of tart fruitiness in the flavor. This tea is the second lot (EX-2) that was picked at Tindharia this spring. I’ve also tried the first lot (EX-1) and find that to have a gentler character when compared to this lot. I’m happy and excited to share that my granddaughter, Adelyn Claire, was born on Thursday! A dear friend of mine said it perfectly: her beautiful face is one straight from heaven. I couldn’t agree more. Saturday Morning Tea will return in 3 weeks as I’ll be in Michigan visiting my family in mid-April. Until then, happy sipping! Oh joyous day! In celebration of the arrival of spring, I have a very special treat for you today. Here’s a hint for those of you who have been reading my tea posts for awhile? What do I look forward to with great joy and anticipation every spring??? 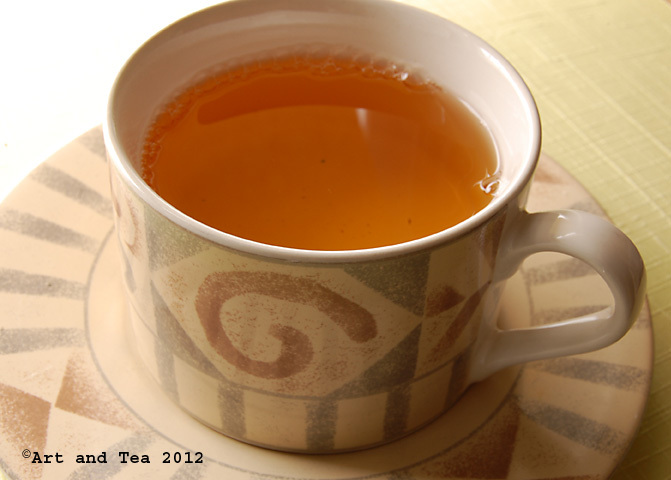 If you guessed a first flush Darjeeling, you are absolutely right! This particular selection is an early first flush offering from the Tindharia estate. It was just picked this month. Look at that gorgeous variegated leaf with white tips, green bits and brown leaf. 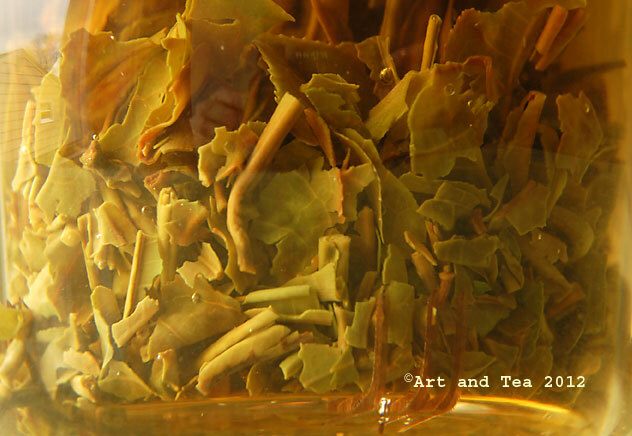 Despite its leaf appearance, this tea has been processed as a black tea. I steeped the leaves for 3 minutes in water just under the boiling point (212F). The first thing I noticed as I removed the infuser basket from my glass teapot was the incredibly fresh aroma with just a delicate hint of flowers. The tea liquor is a pale glowing amber. As I take my first sip, the fresh flavor fills my mouth with its freshness and hints of green grapes and flowers. It is surprisingly smooth for a first flush tea but there is a bright tang that lingers in my mouth. I could drink this tea all day long. This special treat has succeeded in lifting my spirits today. I was heartbroken to learn just this past week that my polymer clay guild has been dissolved. While the friendships will still remain, I am feeling so sad that my days of creating side by side with these ladies is at an end. I’ve lost my tribe, creatively speaking. So, I will look for another local artistic group to connect and create with. Any ideas on where to start? Happy Spring, my dear tea friends! My name is Karen Park and I am a mixed media jewelry artist living in Massachusetts, USA. I love writing and creating with beads, wire, polymer clay, fabric and paint. I also work for a tea company and love all different kinds of tea. Unless otherwise noted, all text and photos are by ©Karen Park, Art and Tea, copyright 2007-2016. Thank you for your respect and kind attention! 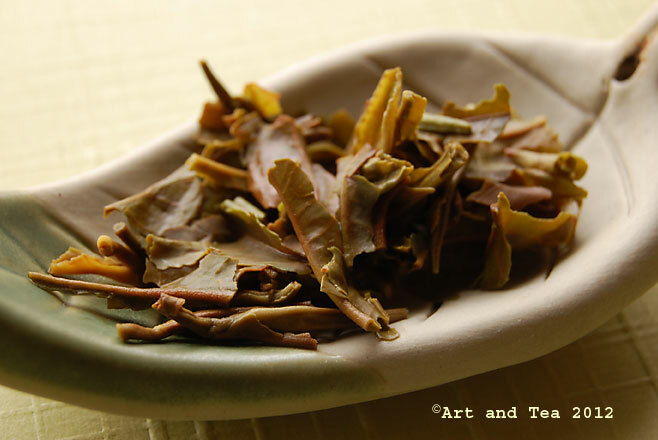 Become an Upton Tea Imports fan on Facebook!